This badge was issued to Haden on 29 Nov 2018. 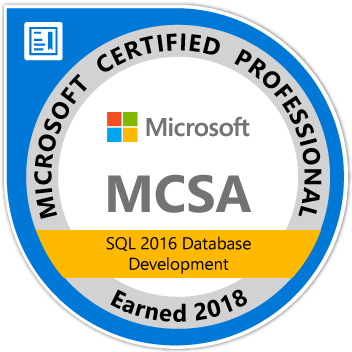 Earners of the MCSA: SQL 2016 Database Development certification have demonstrated the skills required to build and implement databases across organizations. They are qualified for a position as a database developer.